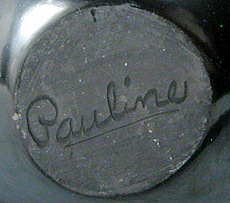 Pauline Martinez was born in 1950 on the Santa Clara pueblo. She married George Martinez, son of Santana and Adam Martinez, in 1970 and has been actively potting since that time. 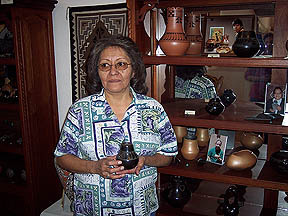 She learned pottery from her mother, Crecencia Tafoya of Santa Clara and her mother-in-law Santana Roybal Martinez and Clara Montoya of San Iledefonso. She makes gorgeous black-on-black pottery. Her clean painting, lovely designs, and high polish make her work exceptional. She typically does small to miniature size vessels.